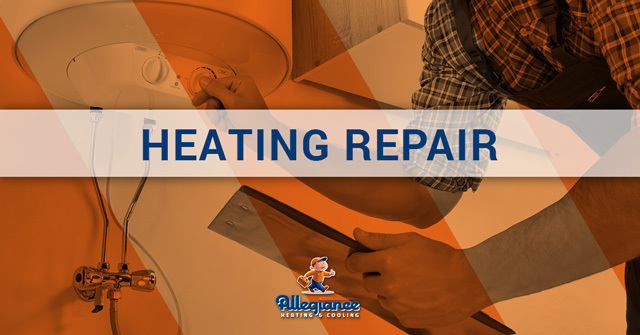 When it comes to home heating services, no other local company provides the expertise of Allegiance. Our certified technicians can not only resolve your HVAC dilemmas but also keep your family warm through the Illinois cold. From heating repair and furnace service to everything in between, it’s no surprise why thousands of residents have made Allegiance their preferred HVAC choice. If it so happens that a new system would make more sense than maintenance, rest assured that we will provide our top recommendations while also being transparent throughout the process. Be sure to ask us about our energy-saving, geothermal heating system. We are also a factory authorized Carrier dealer, servicing all makes and models of these top-of-the-line HVAC systems. What really sets Allegiance apart from the rest? Frankly, it starts and ends with our attention to customer values that are, unfortunately, overlooked far too often. For example, we make it our priority to arrive at appointments on time and in a professional manner. We then take the extra steps in protecting your home and property by using mats, tarps, and shoe booties. Best of all, though, we offer a lifetime guarantee and the most competitive pricing around. See how our heating professionals can allow you to enjoy your home again. Give us a call today for a free quote. ©2018 Allegiance Heating and Cooling - Do not copy. All rights reserved.